Known as John Kay’s brainchild, Steppenwolf is an electrifyingly soulful and politically charged rock n roll band, which was especially prominent from 1968 to 1972. Despite fluctuating between periods of high success to rough patches, the band continues to exist even today and is remembered as one of the world’s leading and foremast rock n roll bands. Having been born in East Prussia, Germany in 1944, John Kay moved to Canada with his family in 1958. By the age of 13, Kay had established a profound interest in music and subsequently joined the band, “The Sparrow” in 1965. Though the band conducted a lot of tours and even recorded songs, it never yielded substantial success and soon split up. However on the insistence of Gabriel Mekler, Kay decided to regroup the band members. At that time the band consisted of, Kay, Goldy McJohn, Jerry Edmonton, Michael Monarch and Rushton Moreve. Edmonton’s brother, Dennis, provided the band with the single, “Born to be Wild” which he had originally written for his solo album. 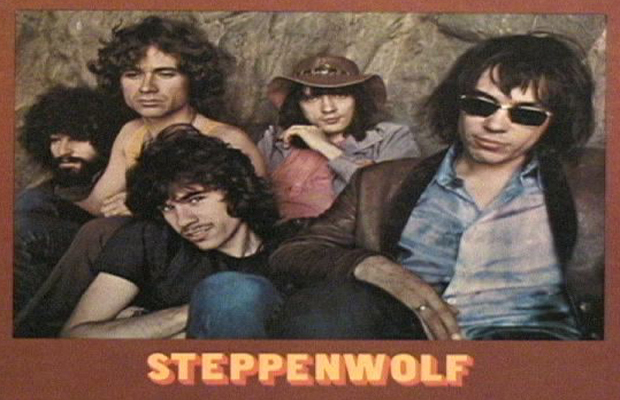 One of the changes that were made at the reunification of the band was changing its name to “Steppenwolf”, the inspiration which Kay got from a Herman Hesse novel. The band’s comeback met with phenomenal success, in a field that was dominated by either pop or hip hop of the late 1960s, without blending entirely into either genre. “Born to be Wild” became the Steppenwolf’s first major hit and topped the charts in 1968. Furthermore, the lyrics, “Heavy Metal Thunder” from the song, used in reference to the sound of motorcycles, provided the basis of naming their new style of music. Following such a magnificent response, the band released its second album in 1968, titled, “Steppenwolf the Second” which included several hit songs like, “Magic Carpet Ride” which earned a spot in the top five songs of its time. Another album released in 1969, titled, “At Your Birthday Party” yielded hit songs like, “Rock Me” which earned a place in top ten songs chart list. The band’s most politically charged album, “Monster” also released in 1969, questioned President Nixon’s policies and surprisingly, the title song proved to be a colossal hit amongst audiences. The band also enjoyed success with songs such as, “Hey Lawdy Mama” and “Steppenwolf Live” in 1970. In 1970, the band released its album, “Steppenwolf 7” which some regard to be the group’s strongest album. The song, “Snowblind Friend” was especially appreciated due to its focus on drug abuse and related problems. By this time, the band had reached the pinnacle of success however because the rifts between its members subsequently led to its disintegration in 1972. Following that, Kay went on to record solo albums like, “Forgotten Songs and Unsung Heroes” and “My Sportin’ Life”, both of which could not match to the success of Steppenwolf. The band’s farewell tour proved to be extremely successful and soon in 1974, Kay took the initiative to reform the band, culminating in the release of albums like, “Slow Flux” and “Skullduggery”. However by now, the success of the band had dwindled and it soon split up again in 1976. Kay went back to working on his solo career. By 1980’s, there was an outbreak of several bands consisting of former band members, who were using the name, “Steppenwolf” to conduct tours. Kay and Edmonton soon sued for legal rights for the title. Shortly Kay set up a new lineup and named the band, “John Kay and Steppenwolf” to try to regain the band’s former glory which continues to work as a major label, even today.